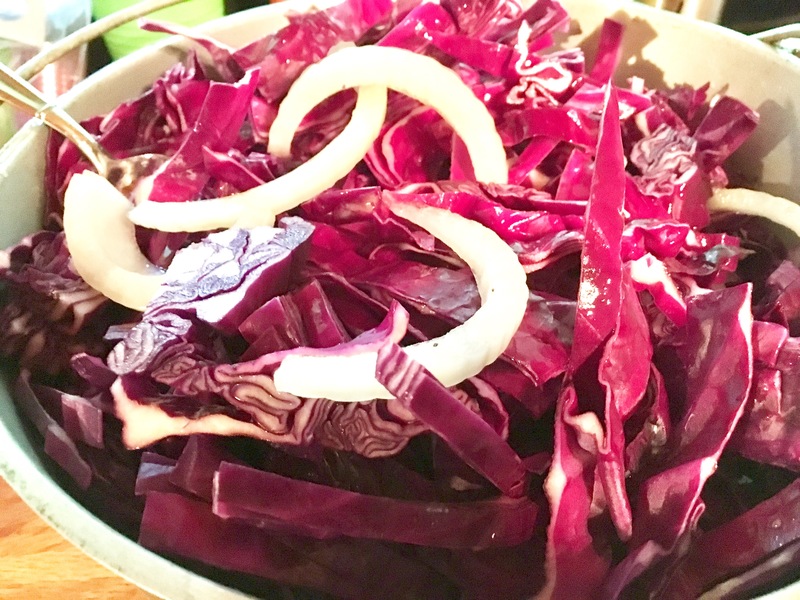 Red Cabbage Beer BBQ – Midnight Munchies & More! 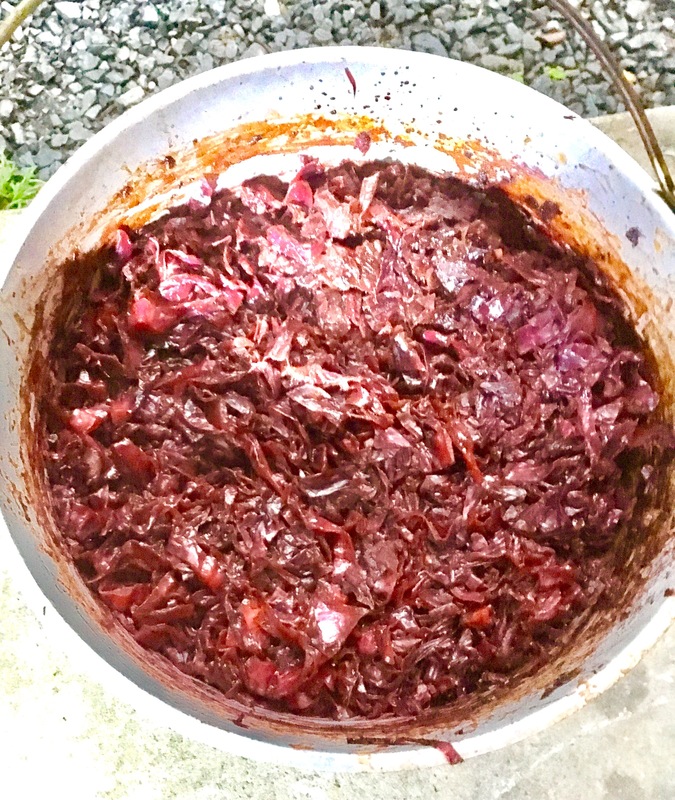 Have you seen the viral video of the beer can red cabbage BBQ? I’ve been wanting to make that for a LONG time! I figured camping would be the best! Then I remembered that alcohol is prohibited in the park we stay and all my beers were in bottles. So, I couldn’t obviously have alcohol products sitting out in the open on my Fire for an hour! 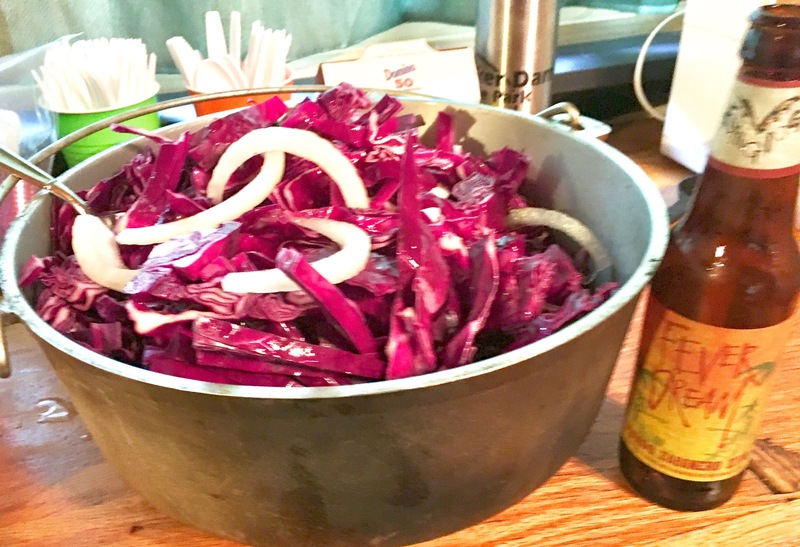 So, this is MY version of a red cabbage beer BBQ and it was amazing! As you can see in the above picture, I used Flying Dog’s Mango Habanero IPA. There are so many craft beers you can use but this one spoke to be because I was slow cooking it on the fire. I wanted that sweet heat taste from the mango habanero with a hoppy after taste. I enjoyed this combo! 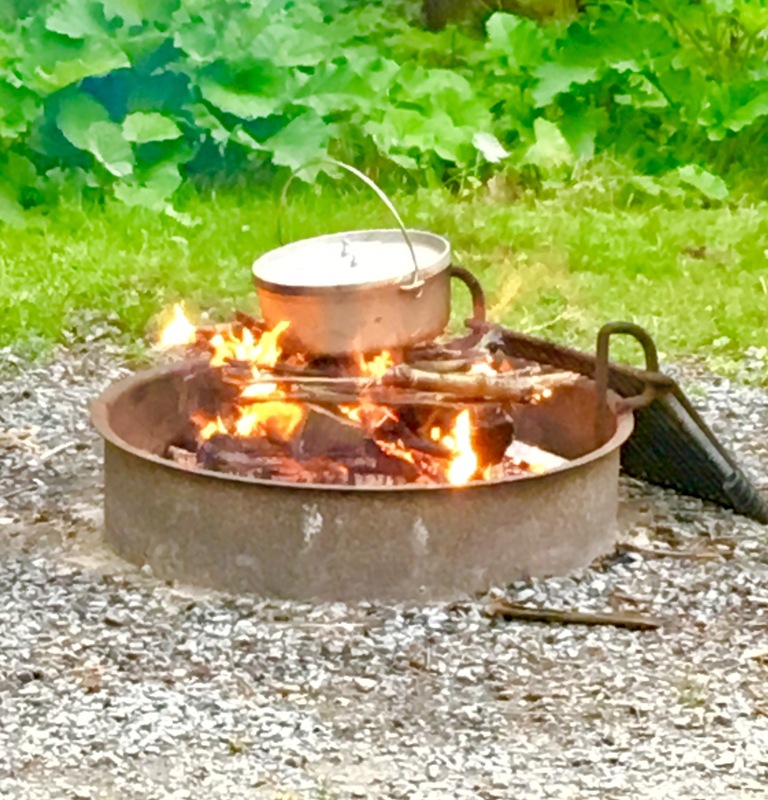 Just like with the Vegetable Medley recipe I posted, Dutch oven placement and safety is key! 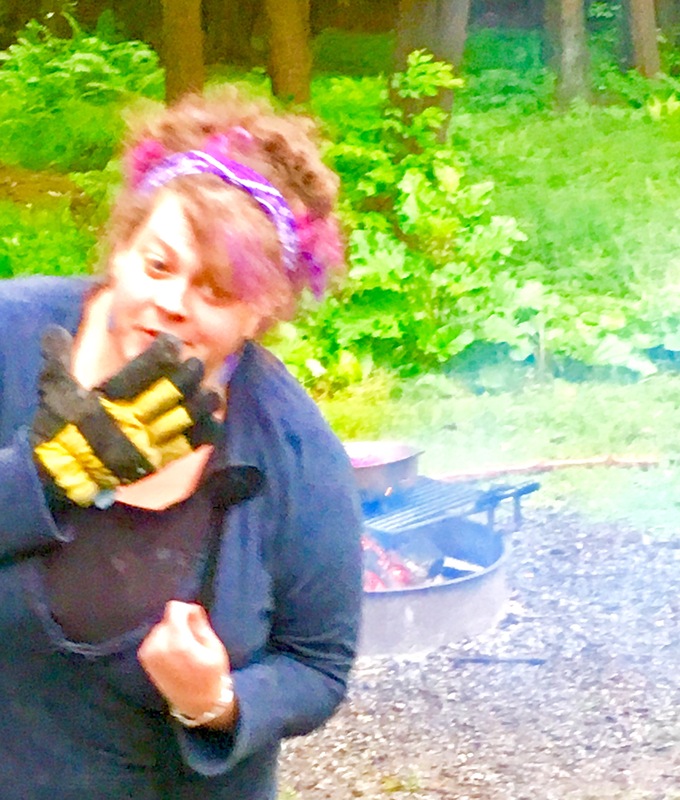 Fire gloves are the best invention! 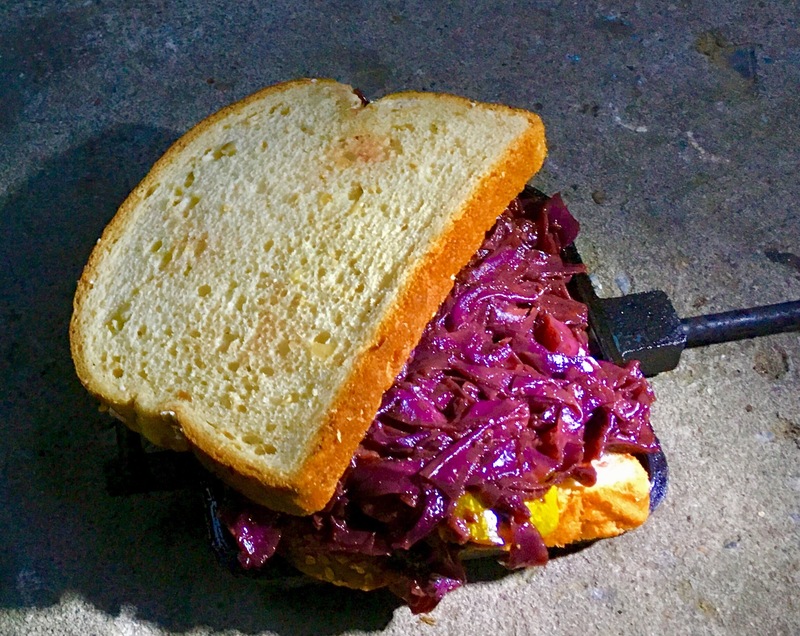 Then you can serve on buns or put in a mountain pie maker for a deliciously fire charred treat!